Last week we launched our new Wayfinding app for Southport hospital on both the Apple and Android app stores. We have had a great response to the app in the local press with coverage in a the Southport Visitor, Prolific North, and also Skem News. 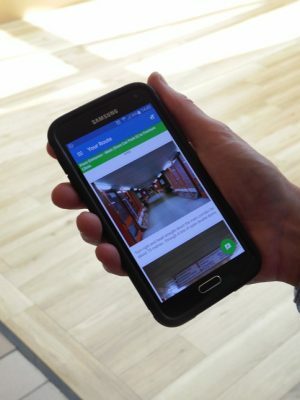 The support of the IT and Communications departments of the Southport & Ormskirk Hospital NHS Trust was invaluable in making this such a successful app and we have already had enquiries from 3 other trusts and a local university about using our innovative Wayfinding technology in similar apps for them.